My Peruvian Chosen One is a white full Peruvian female out of My Peruvian Accipiter, a multi Blue Ribbon winner. 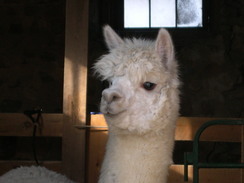 He's noted for awesome fleece, deep crimp and bundling. Her daughter, H Gracia, is a beautiful white girl out of Antonio's Alianza Salute and is one of our foundation females. 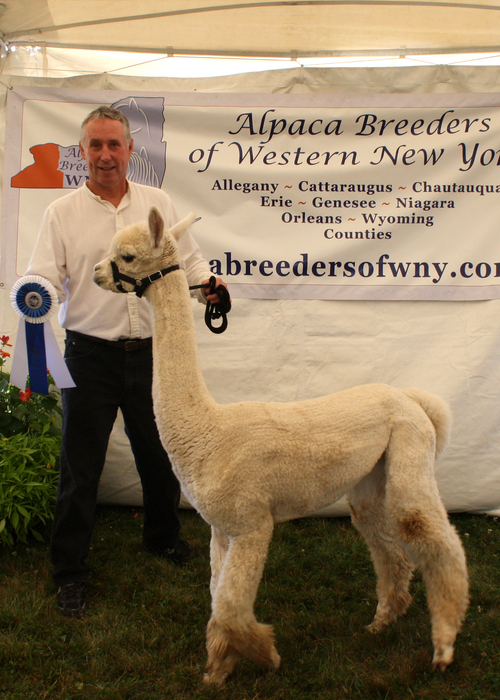 H Gracia placed 1st in her class at the ABWNY Show and 2nd in a very competitive class at the Central NY Classic. She finished 2nd to her cousin H Lucretia who placed 1st. H Lucretia is out of CO's daughter My Peruvian White Rose. CO's most recent offspring was born August 2010 and we believe she fits her name...Blossom. 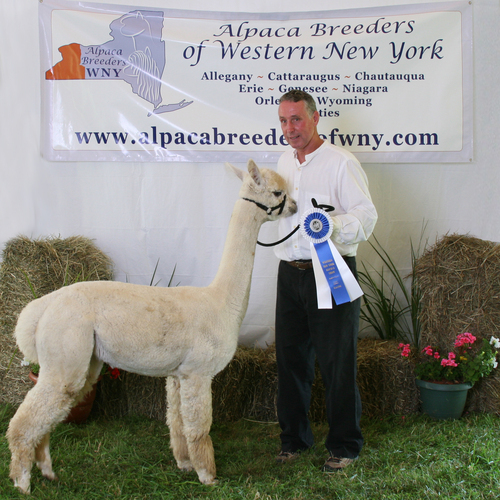 Blossom won 1st pace at the 2011 ABWNY show and has elite fiber with plenty of crimp and shine. Blossoms sire is Sixth Day's Farm's Bravado's Alianza Medallion. 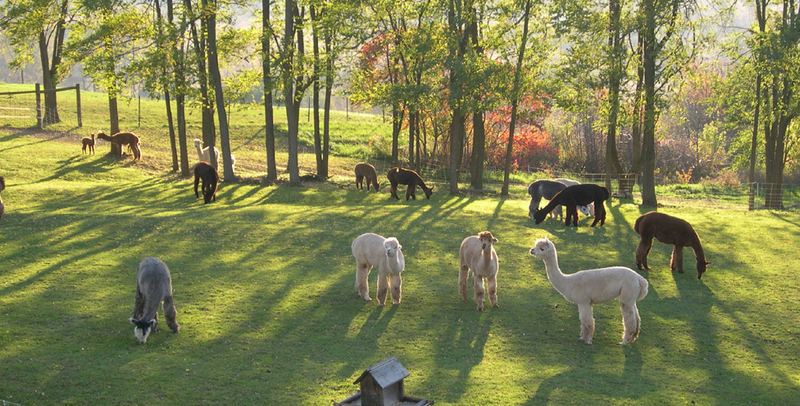 CO comes with a breeding to any of our listed herdsires.